Ashford Samuel Brandon was born on 16 April 1888 in Pinda, South Australia , son of Samuel Herbert Brandon and Fanny Norley. 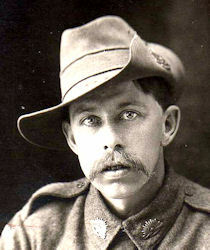 On 9 June 1916 Ashford joined the Australian Military Forces, signing on in Adelaide. His description on his medical records lists him as being 27 yrs 1 month; Height 5 feet 6 inches; Weight 134 lbs; Chest measurement 33-35 inches; Compexion - Fresh; Eyes - Grey; Hair - Brown. He was in the 43rd battalion, serving in France. He reached the rank of Lance Corporal on 26/11/1918. 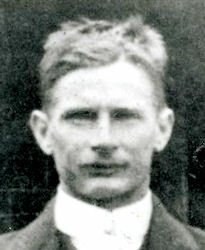 He returned to Australia on 12 June 1919 on board the "Themistocles"
On 2 June 1921, Ashford, aged 33, married Ethel Maud Veaitch, in St Faith's Church in Little Spring Creek, South Australia . He died in 1978, aged 89 years. 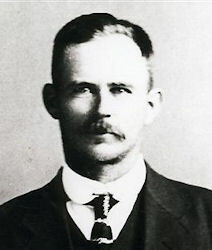 George Henry Brandon was born on 2 March 1892 in Wilmington, South Australia , son of Samuel Herbert Brandon and Fanny Norley. On 13 January 1914, George, aged 21, married Ida Charlotte Hampel, aged 21, daughter of Johann Wilhelm Carl Hampel and Anna Elizabeth Zimmermann, in residence of J.W.C.Hampel in Rudall, South Australia . 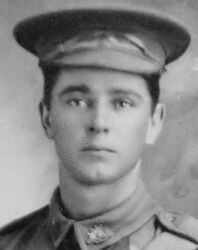 Leonard Gregory Brandon was born on 11 September 1894 in Wilmington, South Australia , son of Samuel Herbert Brandon and Fanny Norley. On 4 October 1915 Leonard enlisted in the Australian Imperial Force, joining in Adelaide. His service number was 1834. His description was: Age - 21 yrs 1 month; Height 5 feet 5 and quarter inches; Weight 136 ponds; Chest Neasurements, 31-33 1/2; Complexion, Fair; Eyes, Hazel; Hair, Dark Brown. He embarked, with the 13th Reinforcements for the 9th Light Horse, at Port Adelaide on 12 Jan 1916. 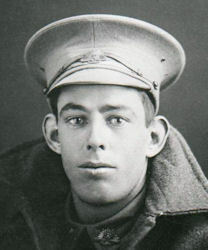 After some months training in the Middle East, Leonard applied for a transfer to the 5th Divisional Artillery, and was initially transferred to 115 Howitzer Battery (25 Howitzer Brigade) in Egypt, then, once he had arrived in France, to 114 Howitzer Battery (14 Artillery Brigade) on 7 July 1916. From 30 Aug. to 13th Sept. 1917 he attended Signalling School. On the 2nd Nov. 1917 his position was hit by a gas shell and on 2 Nov he was repatriated to Broadwater Hospital in Suffolk, England. Returned to France 13 May 1918. He was on leave in Paris from 12/2/1919 to 3/3/1919. Vosper Victor Vernon Brandon was born on 15 December 1896 in Wilmington, South Australia , son of Samuel Herbert Brandon and Fanny Norley. Charles was also known as Franz Rudolph Charles Kroemer. 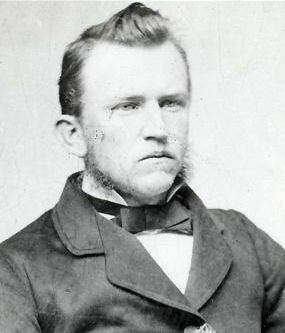 He was born on 13 March 1858 in Tanunda, South Australia , son of Stephen Kroemer and Anna Wilhemena Klees. On 19 September 1878, Charles, aged 20, married Harriet Anne Brandon, aged 20, daughter of Thomas Brandon and Amelia Vosper, in Tanunda, South Australia . He died on Wednesday, 7 May 1890, aged 32 years, 1 month and 24 days, in Adelaide, South Australia . Charles Herbert Kroemer was born on 12 February 1880 in Willochra, South Australia , son of Charles Francis Kroemer and Harriet Anne Brandon. 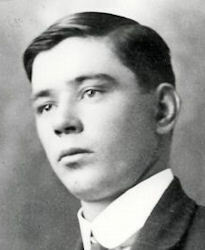 Albert Henry Percival Kroemer was also called "Percy." 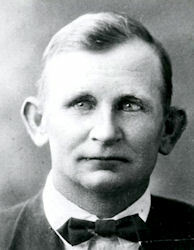 He was born on 14 May 1884 in near Tanunda, South Australia , son of Charles Francis Kroemer and Harriet Anne Brandon. Reginald Stephen Ernest Kroemer was born on 17 August 1886 in Tanunda, South Australia , son of Charles Francis Kroemer and Harriet Anne Brandon.